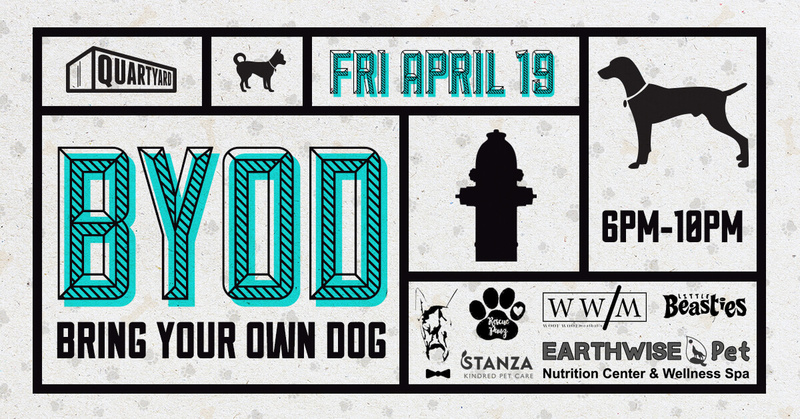 Our 5th BYOD is back to celebrate the dogs in our lives! Woof Woof Meatballs – All your dog needs in just one meatball. The Woof Booth – Showcase your dog on some snazzy portraits with a photo shoot from the Woof Booth. Earthwise – Natural products and self-care resources for your pet. Little Beasties Caricatures – Fun caricatures of you with your doggy best friend. Rescue Pawz – Wanna show off your love for dogs? Rescue Pawz has clothing for all you animal lovers! Stanza Pet – Need pet sitting or dog walkers? Talk with Stanza Pet about their pet services. 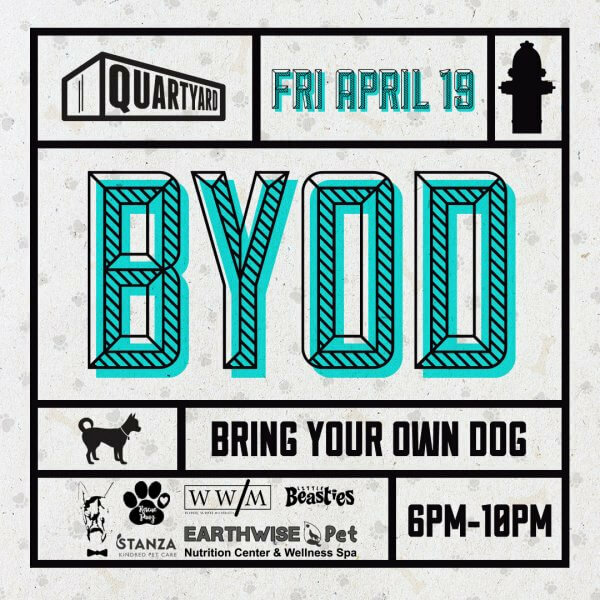 No cover | All ages | Bring Your Own Dog!! !